For most students that participate in intramural sports, it’s about a friendly competition between dorms, Greek organizations and other campus groups. Now it isn’t just fun and games. For one basketball team, it’s about winning a national title. That’s right—a national title. The Single A All-Stars will be representing Tech in the National Intramural tournament in Raleigh, NC from April 11th to the 13th. The Single A All-Stars were formed four years ago. The team is coached, or as he says, “facilitated,” by Mr. Mark Williams who is in his first year as their coach, but has been to the tournament as a player. Williams says that his biggest obstacle with the team is, “managing the game because they really coach themselves.” When you have a team where the majority of the players have tried out to be walk-ons for the varsity team, teaching them how to play is one of the last things a coach has to do. The players that make up the team are said to be the best on campus, winning the last four school championships. They do not have an organized practice for the team. They practice whenever they can get together to play a pick-up game at the CRC. Not having an organized practice might be thought to hinder their chemistry and performance, however they all share the one trait that it necessary to win. They all have desire to be excellent. The first stop after the school championship was the Roundhouse classic hosted by Tech. In this tournament they beat ATO 97-67. 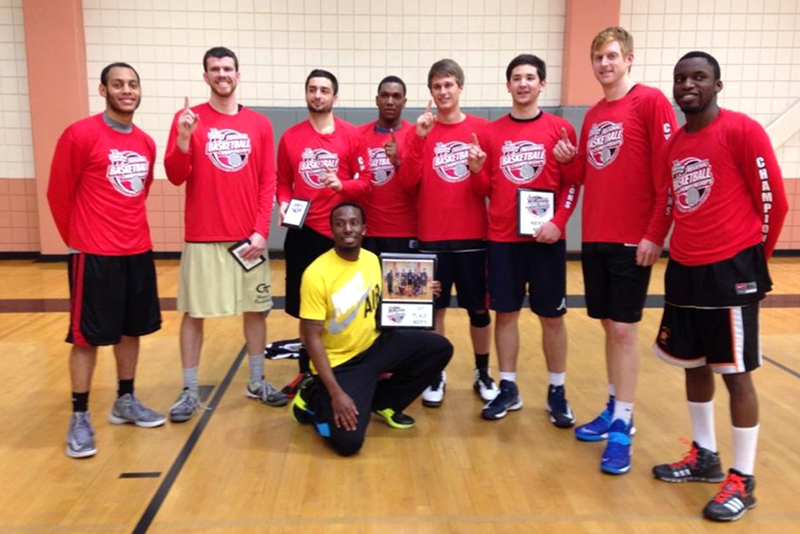 Winning this tournament gave them a bid the NIRSA Regional Basketball Tournament that was held February 28 through March 2 at UGA. They would go 6-0 in the tournament against NC State, UVA, Bainbridge State College, Southern Illinois, UGA and North Carolina A&T (60-42 championship game). It’s common for players going into a big tournament to be nervous, but the players are not nervous all nervous. If they are, they don’t show it. As a matter of fact, they are confident and excited about their opportunity to play in the tournament.